Here at The Bike Insurer we’ve been wondering why anybody would take the AM Moped Licence, or the A1 Motorcycle Licence tests. We’ve got nothing against mopeds, nor 125cc motorbikes or scooters, but there are only a few occasions when it makes sense to plump for these two practical tests ahead of the A2 and Unrestricted licences. First, it’s important to be aware of what you need in the first place before you can take any motorcycle practical test. What do I need to take any motorcycle practical test? Before you can take a motorcycle test, of any kind, you need to have a valid CBT certificate and have passed your theory test. And before you can take your CBT, you need a provisional driving licence. 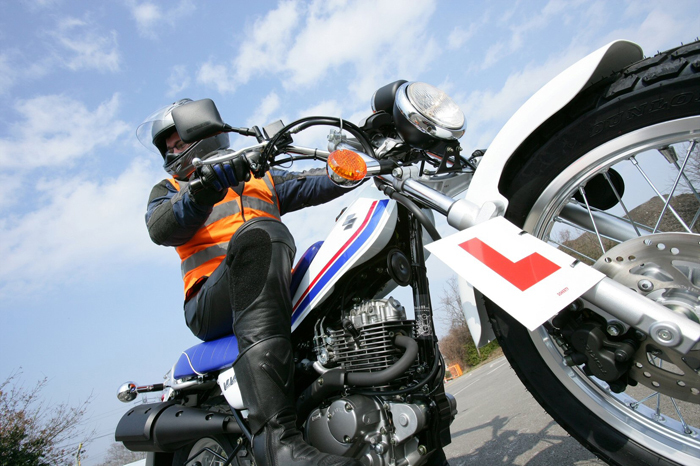 Your motorcycle theory test is the same, and if you have not passed a practical test within two years of passing it, you’ll have to do that again. You can get a provisional licence when you are 16 and take a theory test and your CBT at the same age too. From there, it’s onto the practicals. When does it make sense to take the AM Moped Test? The first motorcycle licence practical test available is the AM Moped Licence. This can be taken if you are aged 16 or over. This licence allows you to ride a moped of 50cc or less which has a top speed of 28mph, with a passenger and without Learner plates. If you know that you will only ever ride mopeds and have no interest in getting a licence which allows you to ride more powerful motorcycles and scooters, this is the licence for you. If however you want to move through the motorcycle licences and on to more powerful bikes, then it is probably worth missing this step and going for either the A1 or A2 practical test. When does it make sense to take the A1 Motorcycle Test? The A1 Motorcycle Licence allows you to ride a motorcycle of 125cc or less, with an output of 14.8bhp or less. Again, you can ditch the L plates and carry a passenger once you have it. You also have to be aged 17 or over. As you may have noticed, this is exactly the same eligibility criteria as the AM Moped Licence but for more powerful motorbikes, which should make it appeal more than the moped alternative. However, with an A2 Motorcycle Licence allowing you to ride motorbikes of 47bhp or less from the age of 19, it might be advisable to bypass the AM and A1 licence in favour of the A2. The only way the A1 licence makes sense is if somebody passed their CBT at the age of 16 and their certificate will expire before they have turned 19. Even then, if you are likely to take the A2 licence as soon as you are able to, it may be better to take your CBT again and wait until you are 19, rather than taking the A1 test and moving to the A2 licence at the first opportunity therefore forking out for two tests within the space of a year. If you’re not yet 24 and have a desire to get on the most powerful bikes available, take the A2 Motorcycle Licence via direct access. You can ride more powerful bikes and, if after two years you’re not yet 24, you can go straight to your Unrestricted A licence. If you are 24 then there’s no need to take any practical test but the Unrestricted A licence. If you want to ride the fastest bikes, this is the one for you. Minimum age for an AM moped licence is 16 (not 17).